The Hooded Merganser ( Lophodytes cucullatus ) is the smallest of the three species of mergansers found in North America. 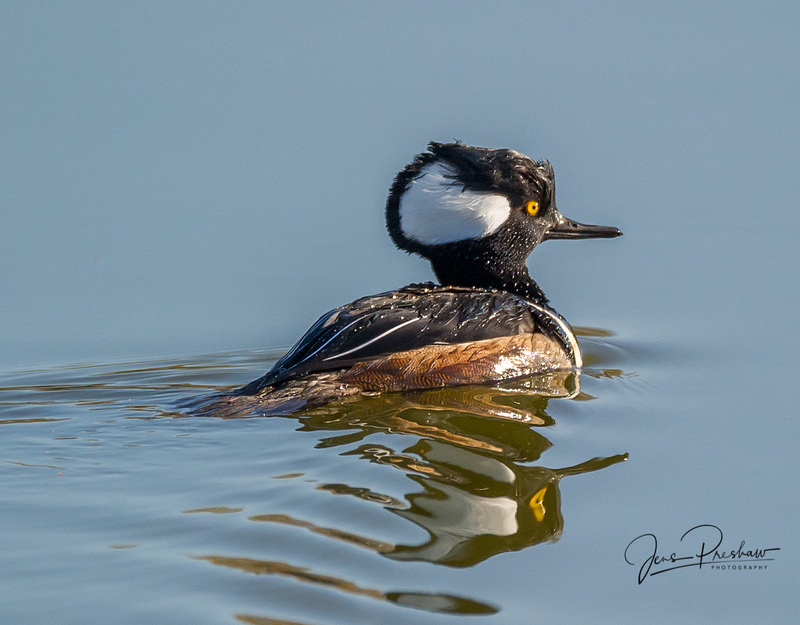 The Hooded Merganser finds its prey underwater by sight, the dictating membrane (third eyelid) is clear and acts to protect the eye during swimming, just like a pair of goggles. They are extremely agile swimmers and divers but awkward on land because their legs are set far back on the body. They can be found year round in British Columbia. The bird in the photo is a male with a crest that shows a large white patch. Click on the image to see a larger version. This entry was posted in Autumn, Birds, British Columbia, Science, West Coast, Wildlife. Bookmark the permalink.